Released by Widex on October 14, 2015 the Widex Unique 440 Fusion falls under Widex`s premium technology level within the Unique Fusion family. 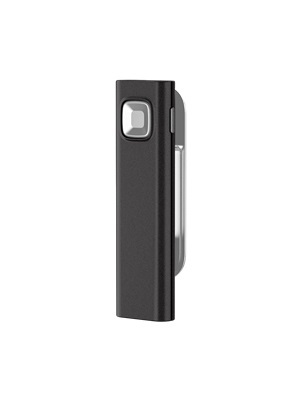 As premium technology, the Unique 440 is the only model in this family that automatically adapts to your environment in 9 different listening situations. This means that as you go about your day, the hearing aid will automatically adjust to ensure you're hearing as well as possible at any given moment. 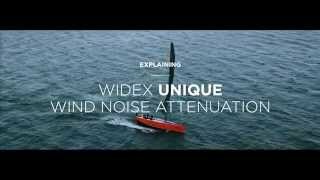 The Unique 440 is Widex's only model in the Unique line that ensures comfort, clarity, and natural sound in all three of the following situations: quiet, noise, and wind. The Widex Unique 440 Fusion hearing aid has 15 channels and 5 customizable programs and is powered by a size 312 battery which will need to changed weekly. With a maximum potential gain of 74 SPL, the Unique 440 Fusion is suitable for individuals with mild to severe hearing loss. 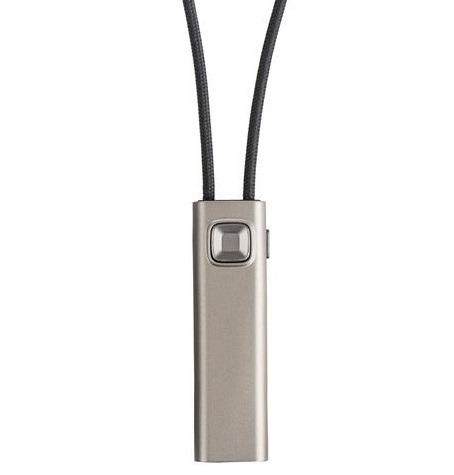 With its discreet RIC (receiver in canal) style, the Unique 440 Fusion sits comfortably behind the ear and is hardly noticeable to the wearer or others. 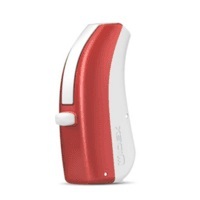 This hearing aid is available in 14 color choices as shown below. 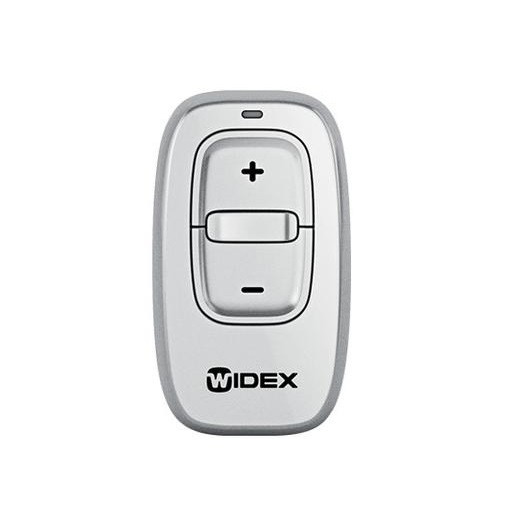 If you have questions about the Unique 440 Fusion that you don`t find answered on this page, or are looking for specs on this device, you might want to check out the downloadable documents (below), visit Widex`s website, or feel free to give us a call at 800-731-6794. I previously wore the Dream 400 and after some prodding by my audi decided to give these a shot. They are an improvement in every way over the Dreams. Ambient noise: things like my a/c, engines running, fridge running, just noises that are constant and you know they are there but you don't need to hear, those sounds have been reduced dramatically. The result is a much more peaceful listening experience for me. Wind: I am an avid golfer, sailor and sand castle sculptor, so the CSSSHHH sound of wind going over the microphones has always been a problem for me. With the Uniques, I can clearly hear the wind as I should be able to, without the distorting or harsh sounds that used to accompany even the gentlest of breezes. Water resistance: Living in New Orleans I am constantly dealing with the humidity and am always aware of the impact it can have on my aids. I keep a dry and store in my car all the time and was constantly putting the Dreams in there to dry them off in between uses. Very inconvenient. In wearing the Uniques 2 weeks I haven't had a single instance of microphones being plugged up or any sort of malfunction whatsoever, so it seems to me that the moisture and water resistance has been improved. I even showered with them accidentally for 5 minutes, panicked and took them out, and seemingly no damage was done to the aids physically or acoustically. 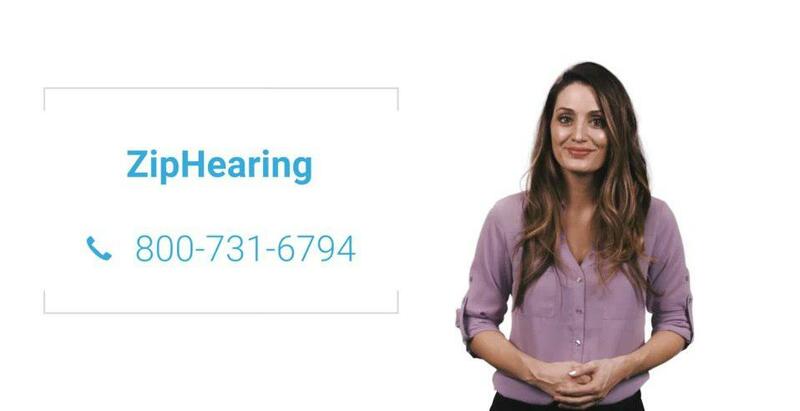 If you are purchasing hearing aids for the first time I would recommend buying them as soon as possible, one simply cannot know how much sound they are missing. If you already wear hearing aids and are considering upgrading, let me strongly recommend the Unique 440s. I have been wearing the Unique 440s now for 6 weeks and they are nothing short of fantastic. I have a very severe hearing loss and for the first time in my life I can say the aids are worth the cost. They perform very well in noisy situations like church and also allow me to hear the sermon easily when using my telecoil which is something I haven't been able to do in 20+ years. 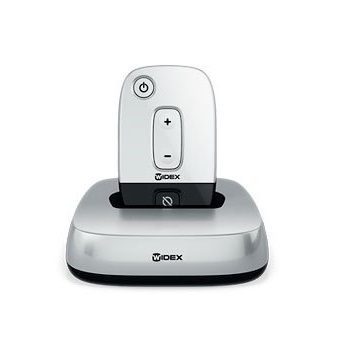 For talking on my home phone I use the PHONE-DEX for streaming calls directly to the aids, works like a dream every time. For cell phone calls I use the CALL-DEX, opted for that over over the COM-DEX because I didn't want to have to wear an accessory around my neck all the time. With the CALL-DEX I simply leave it plugged in to my iPhone all the time and it streams sounds to the aids. Batteries on the aids last about 10 days for me depending on how much talking on the phone I do. BUY THESE! VERIFIED BUYER | Overland Park, KS	? I have needed a hearing aid for a very long time but had not obtained one because the tinny noise drove me nuts! When I heard about the Widex Unique 440 and tried it out I was amazed by the technology change that had taken place. After wearing Widex for a week I literally forgot I was wearing one. I have to remember to take them out at night. And I have fallen asleep with the Widex in more than once! I am a concert pianist and as such having near perfect hearing is incredibly important for my livelihood. 4 years ago when I first purchased hearing aids, after trying nearly every top of the line hearing aid that is available I settled for the Dream 440s. I say I settled because I was not entirely thrilled with the performance, though they were better than anything else I had tried. At a certain point in trialing hearing aids one must simply settle and move on with their life. I have been reasonably happy with the 440s knowing they are the best for me, but have still wanted more from my aids, particularly in my work environment. 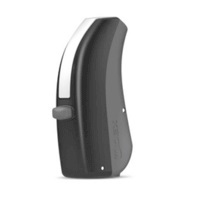 While I suspected that this new generation Unique would still be the best aid for a musician, I again went through the painstaking ordeal of trying THREE other premium hearing aids before coming back to Widex and trying these Uniques- and my search has stopped. 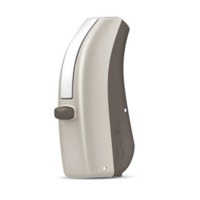 The improvement over the Dreams, and over all the other hearing aids I have tried is drastic. I am sure there is some technical reason why these perform better for musicians, but for me all that I care about is I am hearing darn near every note in perfect pitch and I am confident that this has helped my playing improved as well. I am so grateful these truly UNIQUE hearing aids for me. Exceptional. 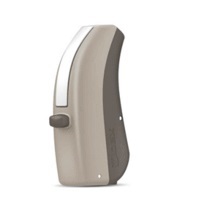 Way better clarity and comfort than previous hearing aids (different manufacturer). VERIFIED BUYER | Denton, TX	? Love my new Widex hearing aids. As a first time user, I am discovering sounds that have gone missing for several years. These have been super comfortable and love the audible prompts for low batteries and also to let you know if one aid is not in place or has been dropped. The process using ziphearing.com has been flawless- great service and great prices! Highly recommend. I upgraded to the Unique 440s from my Clear 440s which were pushing 6 years old. I loved my Clears and the Mdex which is sadly discontinued, but am getting along quiet well with the Uniques. I can't say it's a night and day difference and that the upgrade was worth the expense, but I can say that I'm hearing better with these, and I will be keeping them just because I know my Clears are outdated and I need newer technology. I used the mdex remote and loved it, but it has been replaced by the comdex and app which is a bit more cumbersome, but i'm getting along fine. I also had the TVdex remote upgraded to work with my Uniques and that is swell too. Overall I am happy with the hearing aids and recommend them. VERIFIED BUYER | Mashpee, MA	? VERIFIED BUYER | New York, NY	? 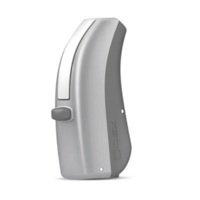 I'm not 100% satisfied with my Widex Unique 440 hearing aids, still having hearing problems. Because it is no great improvement, sometimes I don't wear the hearing aids, afraid to loose them, one time it fall-out I didn't realize until couple hours. For the amount of money expended I'm not satisfy. I'll give more time. VERIFIED BUYER | La Jolla, CA	? Very good. 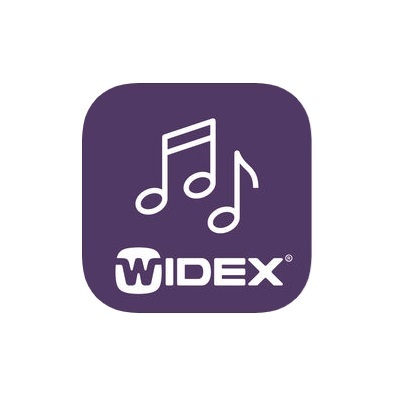 Can hear consonants and higher pitch sounds better than with my previos Widex heairng aids. Comfortable and snug. Waiting for next appointment for adding programs and fine tuning. I just received my Widex Unique 440 hearing aids yesterday. I wore them all afternoon and evening until bedtime. I must tell you that they are extremely comfortable and non-evasive. I even forgot I had them in my ears as they were so light. I had dinner with some people last night and was able to hear everything that was being said. I have not had this experience in a while. I could not be more pleased. Background: I demoed a set of pre- Clear CPA 440s before getting the set of Clears that I wore for 3-1/2 years. I demoed a set of Resound Linx2’s from Dec. 8 to 11. I also demoed a set of Widex Unique BTEs from Dec. 15 to 30, when I received a new set of Widex Uniques. The claims made by Widex in their ads for the Unique are accurate. Uniques hit a new high mark for wind noise reduction, which is truly impressive. Soft sounds are nicely elevated, and louder sounds are kept at a more comfortable level. These work exceptionally well at reproducing voices, even in less-than ideal noise conditions. Observed battery life is 7+ days with continuous use for approximately 15 hours/day, including music streaming. This is much better than the 3 days for the Clears with size 10 batteries. The BTE Uniques use the larger size 312 batteries. Sound reproduction is the best I have witnessed yet. Frequency range is excellent, being clear and strong throughout the entire range. The adaptive technology works well, albeit response time was a bit long in the standard program. (My audi made an adjustment to reduce the delay for my set). The vocal tracking and reproduction are really good, and work well in most situations, compared to the Clears. I can hear the other people talking across a large room in my office, which was impossible before. Music streaming is clear, strong, natural, and monorail; certainly not nearly as good as the stereo Linx2s. The ComDex streaming device /control necklace is small, light, works well enough, stays linked to the aids, and has good battery life. The microphone is somewhat lacking in clarity, described as “muffled” by some of my callers. This is common to both units I have used. It also lacks functionality, such as any useful input to mute the microphones except when streaming, and ability to change programs. These functions are relegated to the phone APP, which works OK, although it is archaic, and sometimes reluctant to connect to the ComDex. 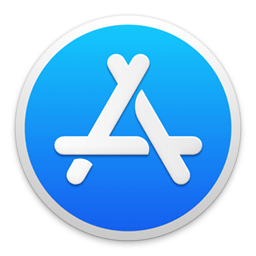 The APP interface is clumsy, as the different functions are on different pages. These should be combined onto a single page for volume and program changes, which are used most, with the help, and other secondary functions on another page. The upside here is that the software in the hearing aids covers most of these tasks automatically, so you really don’t need these controls except in unusual circumstances. Additionally, the program selection can be controlled from the buttons on the BTE models. Volume control is only accessible from the phone app. Pre-defined programs, include traffic, music, restaurant/ party background, phone, and Urban. There’s an option for custom, if you can get your audi to program it for you. I had a custom “kill-switch” (minimum volume, all octaves) for my second program, just in case a screaming baby starts up unexpectedly nearby. 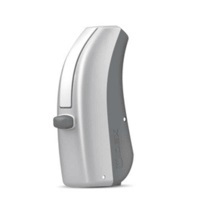 In summary, Widex has set a new high mark for hearing aids, even though there is some room for improvement. If one wants to hear well, in many situations without having to fiddle with controls, this is where you want to be. The technology is class-leading, producing a simple, smart hearing aid product that enables one to hear very well and comfortably, in most situations. VERIFIED BUYER | Coconut Creek, FL	? After a hearing problem that went on for many years, and not realizing that the problem could be solved with a hearing device, one day I got a severe head cold. Of course it was on a holiday weekend. No doctor to contact. The hospital visit was out of the question. Off to the drug store to spend money that would have zero help with over the counter meds. Then to the ENT, antibiotics were taken for ten days, with little help. The CT scan proved all was clear, thank God. Next was to meet with the doctor again. He said I had three options- leave it alone, hearing aid, and lastly surgery. I said, to myself, "no way I was going to leave it alone or have surgery." He asked me to see the audiologist and try a hearing aid. Since it was in the same department, I said OK. When the hearing aid was put in my ear.......WOW! Not only could I hear from my right ear, but the stuffiness that was in my head for three weeks vanished. The first thing I did was visit my lady at her work, and said to her, "say something nice in my right ear. She said "I love you." Wow I could hear again, and the clarity was and is fantastic. I absolutely love the Widex Unique 440 Fusion and will, and do, recommend to anyone you would like to hear again. Stuart G is a very happy 'hearing person' again. VERIFIED BUYER | Carmel, NY	? 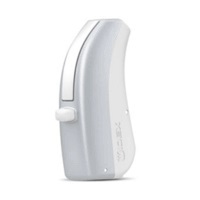 Sound quality of my new Widex Unique 440 hearing aids fantastic - hearing things like a ticking clock, rain hitting the window, etc., I forgotten was "normal". These "new" sounds will become routine after a while, but right now I am amazed at what I was missing. Fittingt is easy, and not uncomfortable at all. I bought the Com-Dex for the Widex too. Still learning the ropes, but it's very easy to change volume, programs, etc., and I can easily pick up my cell phone just by pushing a button and saying "hello". I can also listen to Pandora etc. through my phone. A very welcome addition to these high-tech marvels. This is still my first day, but I feel like it's Christmas. My only regret is that I waited so long, and should have gotten serious about my hearing 3 - 4 years ago, when people were starting to get annoyed at me always saying "what? ", or worse yet, saying to a third person "what did he say?" And Zip Hearing saved me $$$$$$$$! I just replaced a Siemens hearing aid with a Widex Unique 440 Fusion. What a difference in clarity. The ability to adjust many functions from my iPhone is great, and the process through ZipHearing was very easy. Background: I have a 73 dB loss in both ears. I tested the Widex Unique U-FS Receiver-in-Ear aids for a week, hoping to upgrade from my Oticon Agile Pro ITEs of 2014. 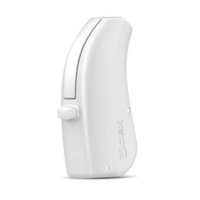 I wanted newer technology, better fit, superb sound quality and was convinced the Widex would deliver, especially having read so many positive reviews here about Widex aids. Weight – aids are feather-light, and sit very comfortably behind the ear; look sleek, slim and very unobtrusive – much better than my current Oticon ITEs. Security – locking bar worked excellent to keep aids from falling out of ear (which could so easily happen, given their feather weight). Program/Volume Functionality – button worked as it should, raising volume and/or switching from programs; altho would prefer the 1-2-3 (right) with 3-2-1 (left) as in current Oticons, which cycle through programs much quicker. Seal – never optimal. With my level of hearing loss, and the design of these aids, I could never achieve a seal that would prevent feedback or deliver quality sound. Sound quality – significantly worse than my existing Oticon Agil Pros. Probably related to the seal/comfort issue, but the sound was no more powerful, and in fact was thin, lacking base and even speech frequencies, making it harder to understand people. Not sure if changing the dome style would result in dramatic improvement? Dynamic range – these aids do not seem to deliver high quality sound for music (or speech), as they lack a large dynamic range, given their current fit. Speech comprehension – more difficult than with current Oticon Agil Pros. Voices sounded thin, reedy and even garbled whether faced directly in front of me or behind my back (impossible to understand), even when aids were seated “correctly”. Increasing volume only increased distortion, magnifying the huge hole in dynamic range. Programs – no clear benefit in “party” mode over “universal” mode; directionality didn't seem noticeably better, nor did speech clarity. Also the “button tap” definitely required a quick, hard squeeze, making it more difficult to change programs than the smaller buttons on my current Oticon ITEs. Phone – could not hear at all on any kind of phone. Issues of extremely low, low volume combined with feedback precluded using the phone at all. I wasn't able to find any workable “sweet spot” in which I could have adequate volume without feedback. Perhaps I should've had a program dedicated to just the phone? Also, the Widex manual shows how the phone should be held for correct hearing, and um, it looked so goofy that I would simply NEVER hold it way up on top of my ear like that. I have zero trouble using the phone in a normal way with my current Oticon Agil Pros. Bluetooth – not sure if device pairs with my Samsung Galaxy 6S, as I could not use my cell phone at all without COM-DEX unless & until I unpaired it completely. Neither me nor the person I dialed could hear anything when Bluetooth was ON, if I wasn't using COM-DEX. By comparison, I can leave my Oticon Agil Pros connected via Bluetooth with my streamer and as long as the streamer is OFF, I can use the phone A-OK with no streamer. When I wear the streamer, it works beautifully, streaming audio into both ears. 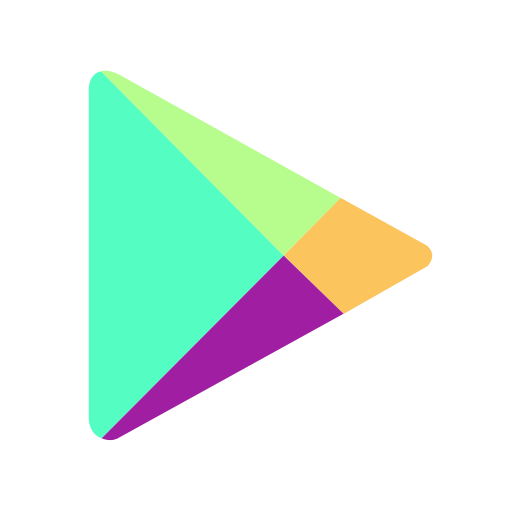 I'm returning these aids as they would not be a noticeable improvement, and in fact, turned out to be a huge step backwards in terms of sound quality, speech recognition, comfort, and being able to use the phone. Realizing I am a very challenging patient to fit wit aids, I'll continue with the Oticon Agile Pros for now, and re-visit other options at a later date. It could be that given my hearing loss, ITE aids are my only option - unless I get a custom mold for a BTE. VERIFIED BUYER | Newnan, GA	? 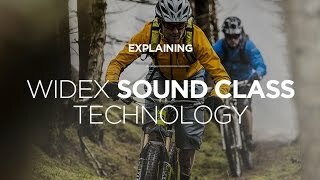 The sound quality of the Widex Unique 440 hearing aids is superb. The sound is completely natural without any hiss, static or or annoying background buzz. Each tone and frequency is just as it should be. The 9 automatic environment programs seamlessly switch for improved performance. They are very small, lightweight and comfortable. You soon forget you have them on and everything feels normal and as it should. The battery life is excellent. You do not have to remember to change the batteries because the hearing aids will tell you when the batteries are low. Everyone I dealt with to purchase my first pair of hearing aids has been friendly, responsive and professional. I highly recommend this service and these high quality hearing aids.